Heavy metal contamination is a globally recognized environmental issue, threatening human life very seriously. Increasing population and high demand for food resulted in release of various contaminants into environment that finally contaminate the food chain. Edible plants are the major source of diet, and their contamination with toxic metals may result in catastrophic health hazards. Heavy metals affect the human health directly and/or indirectly; one of the indirect effects is the change in plant nutritional values. Previously, a number of review papers have been published on different aspects of heavy metal contamination. However, no related information is available about the effects of heavy metals on the nutritional status of food plants. This review paper is focused upon heavy metal sources, accumulation, transfer, health risk, and effects on protein, amino acids, carbohydrates, fats, and vitamins in plants. The literature about heavy metals in food plants shows that both leafy and nonleafy vegetables are good accumulators of heavy metals. In nonleafy vegetables, the bioaccumulation pattern was leaf > root ≈ stem > tuber. 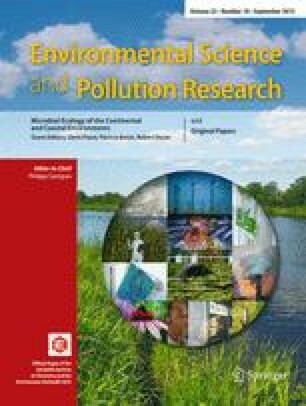 Heavy metals have strong influence on nutritional values; therefore, plants grown on metal-contaminated soil were nutrient deficient and consumption of such vegetables may lead to nutritional deficiency in the population particularly living in developing countries which are already facing the malnutrition problems. The authors are thankful to the Higher Education Commission, Islamabad, Pakistan, for providing the financial support for this research.